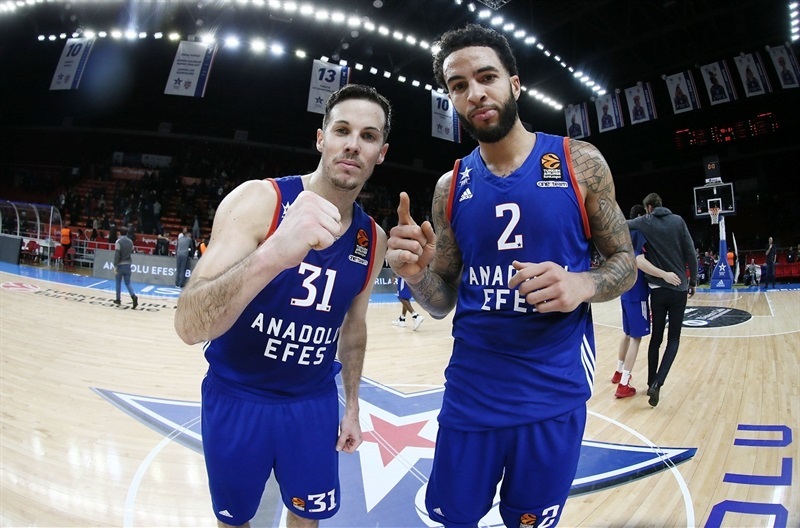 Anadolu Efes Istanbul moved within one victory of the playoff zone and claimed a vital tiebreaker too with a 93-81 victory over city rival Darussafaka Dogus in the latest Istanbul derby at Abdi Ipekci Arena. 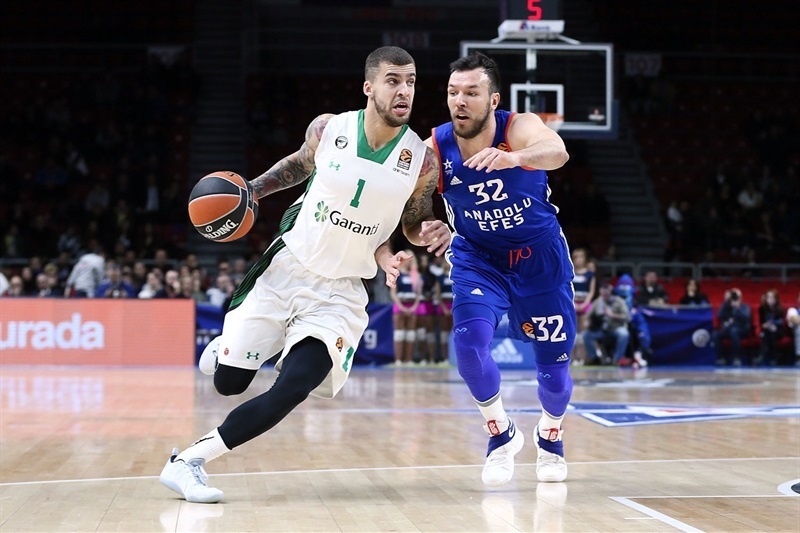 Efes sits in ninth place at 9-10, which is one win less than eighth-placed Darussafaka. 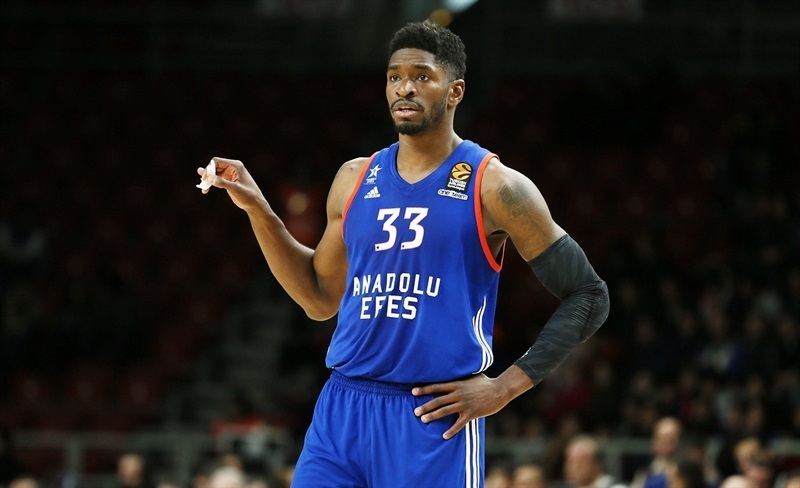 By sweeping the season series, Efes also owns the tiebreaker. It was a game of runs that seemed destined to go to the wire, but after the visitors clawed their way to within 1 midway through the fourth quarter, Brandon Paul scored 5 in a 9-0 run to finish off the game. Paul shot 5 for 9 from downtown to lead all Efes scorers with 21 points. Thomas Heurtel added 17 points and 7 assists off the bench, Bryant Dunston scored 14 and Derrick Brown 12. 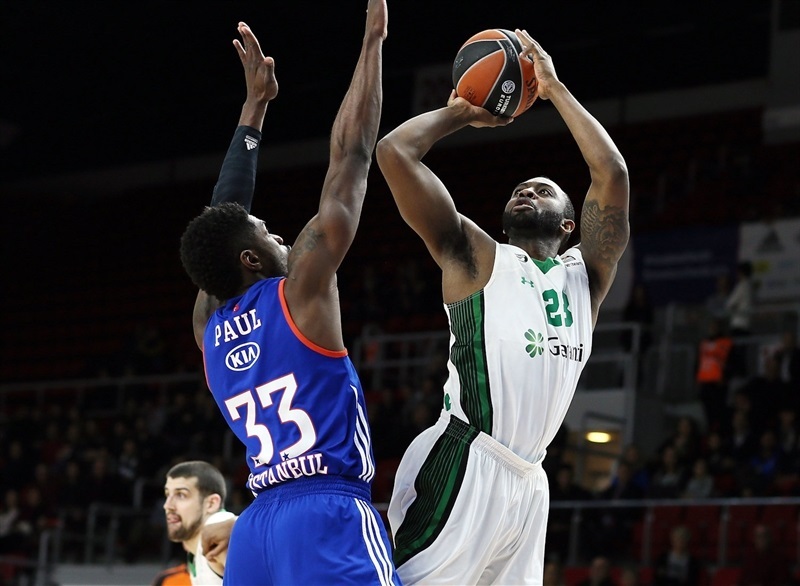 Brad Wanamaker led Darussafaka with 24 points and Ante Zizic dominated inside with 16 points and 18 rebounds. 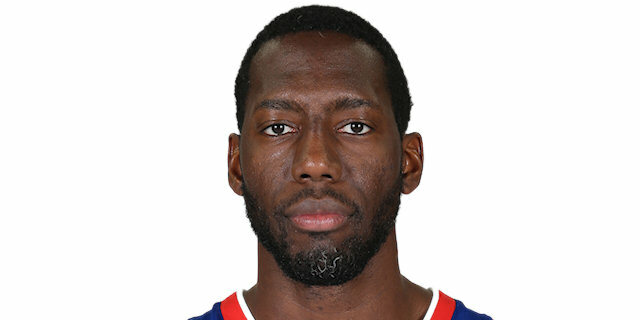 He set club records for rebounds and offensive rebounds (8). 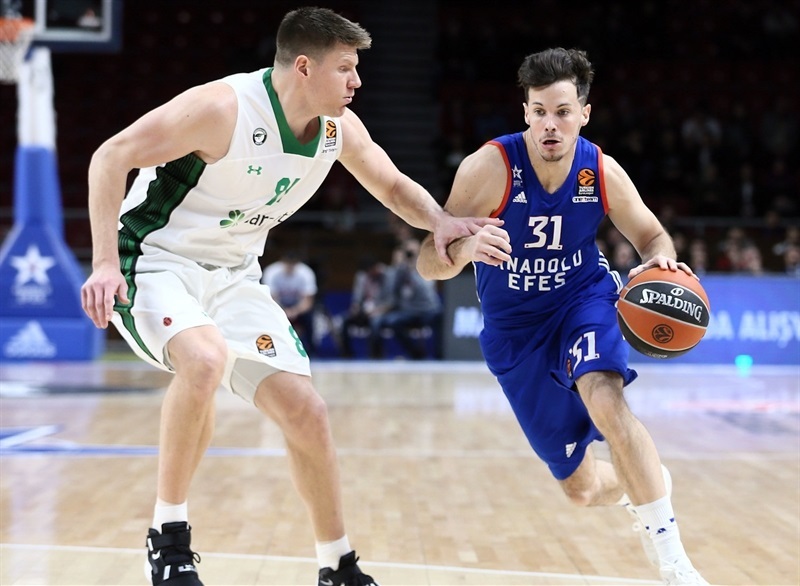 Adrien Moerman added 11 points and Birkan Batuk and Dairis Bertans each scored 10 for Darussafaka, which outrebounded Efes 27-40. Cedi Osman hit a three and Dunston attacked the basket for a layup that gave Efes a 10-4 start. Wanamaker and Jayson Granger traded triples and Zizic and Brown swapped three-point plays as the hosts remained in control. Tyler Honeycutt got going with a blocked shot and a three-pointer before Paul nailed a three to put the hosts up by 10. Moerman scored twice to bring Darussafaka within 25-19 after 10 minutes. Darussafaka scored the first 5 points of the second quarter and then tied the game at 27-27 and a Batuk triple. 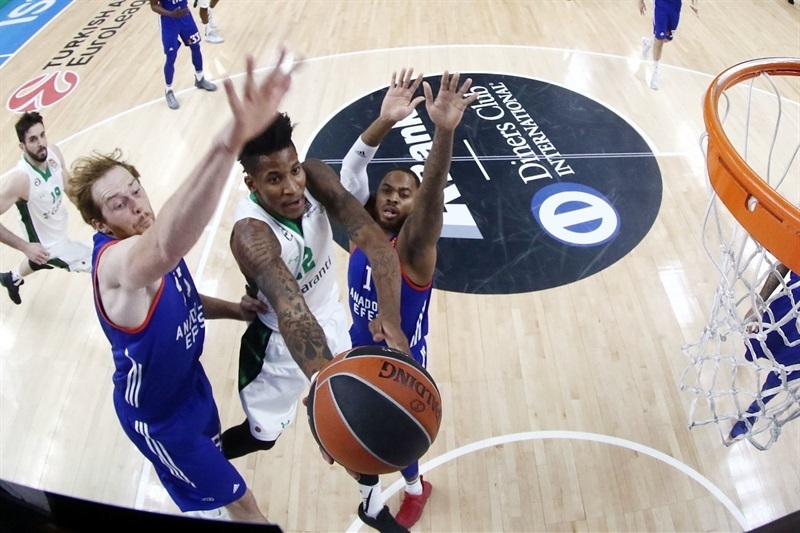 Wanamaker free throws gave Darussafaka its first lead, 30-32, midway through the second quarter. As the hosts’ outside shooting remained cold, Zizic’s put back made it 32-38 and prompted an Efes timeout. Honeycutt beat the 24-second clock with a long three and Paul scored inside. Dunston dunked and Heurtel beat the buzzer with a jumper to give Efes a 0-10 run and a 42-38 edge going into halftime. Paul and Wanamaker sank threes to open the second half. Zizic’s put-back slam was followed by a Bertans three to close the gap to 48-46. Zizic scored again and Moerman’s three made it a 0-10 run and gave the visitors a 3-point lead. Heurtel took charge for Efes with 5 quick points to make it 57-54. A Deshaun Thomas triple and Granger layup ended the third quarter at 64-56. 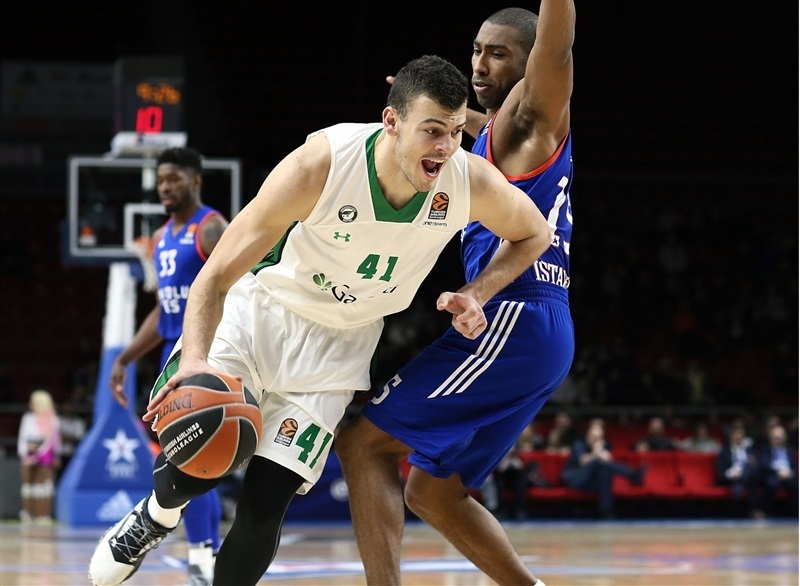 Darussafaka narrowed the deficit through threes by Batuk and Bertans. 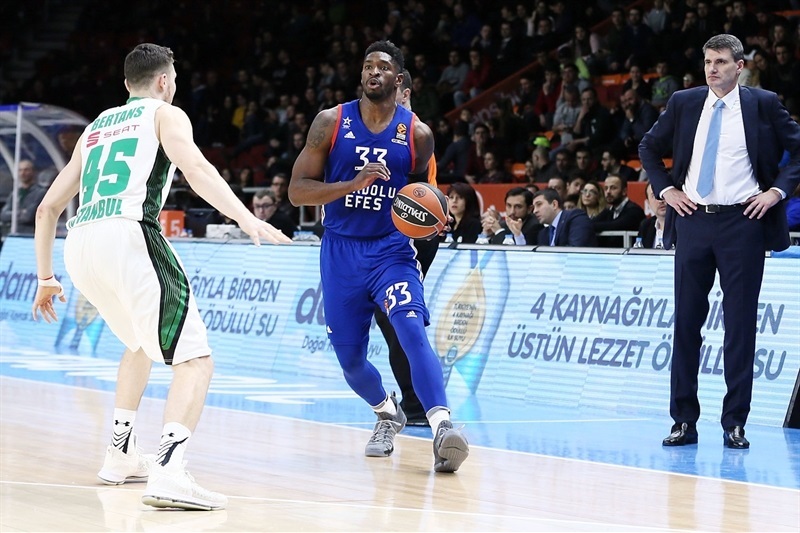 Wanamaker outmuscled the Efes guards to get inside and make it 75-74. Paul’s fourth three-pointer and Dunston’s layup put Efes up 82-75 with three and a half minutes to go. 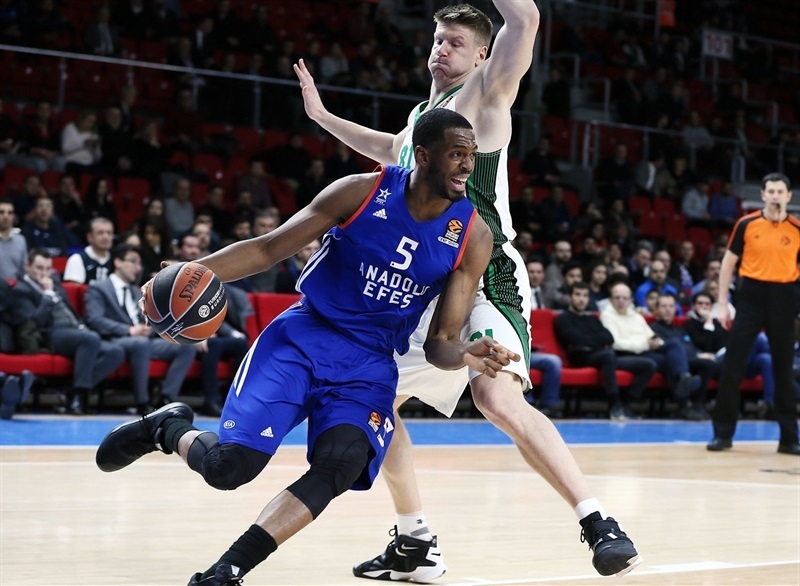 Brown’s fast break slam and free throws by Paul capped a 9-0 Efes run for an 86-75 lead with only 80 seconds remaining and Efes finished off a critical win. 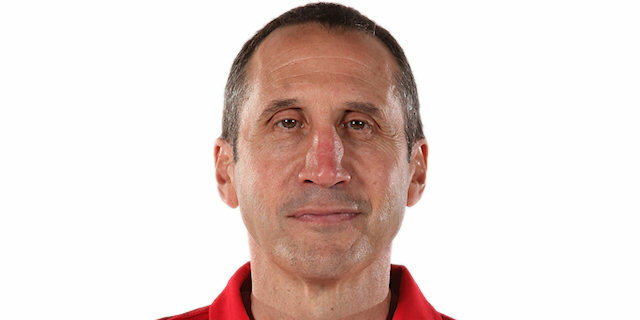 "I think in the second half we played much better defense and stopped their offensive rebounds. Also is you don’t score against Darussafaka, it’s very difficult to win. On offense we played good and after this game we stay in the race for the playoffs. This level it is very difficult to dominate all 40 minutes. Also Darussafaka is a great team with great players, a very athletic team, very strong team. It is not easy to be all game in good shape. All seasons we have a problem with defensive rebounds because our big men always go to help out of position and our small guys don’t help too much. This is a big problem for us. " "They made a few more shots and few more plays and that was really the difference in the result. Obviously we missed Scottie Wilbekin, who is a big part of our team. 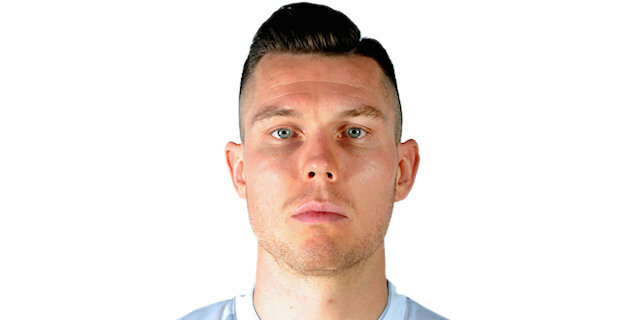 Missing him for this game was not so important, as long as his injury is not serious, which we will see shortly. We are hoping . We need to put this behind us and move forward. I really think we defended not well in the second half. 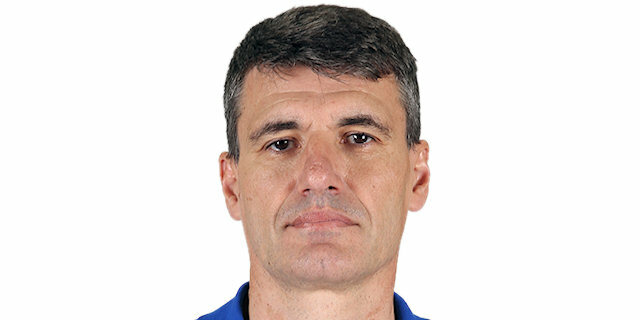 And [Efes] is a very long, athletic, deep team that makes it hard for you on offense and that is part of the reason we had troubles, but we scored 80-plus points in an away game and we are capable of defending. 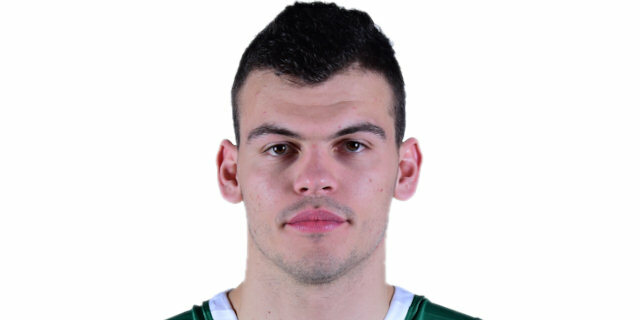 Ante [Zizic] played a great game. He’s a great young kid and a great young player. Honestly, it was a pretty high-level game by both teams today. " "We knew this game was important and even though we made some mistakes defensively, we shared the ball well on offense and we had more points. [In the fourth quarter], we said we had to take care of the ball better and take smarter shots. Coach was telling us to run longer offenses and that actually helped us. " "We were good in rebounds, but I think we missed a lot of open shots and layups. This is the main reason we lost the game tonight. In the second half we were not good in defense. We could have been much better as we have already shown in the recent games. Off course we need to forget this game and focus our next game on Friday. I try to my best in every game I play. That’s important to grab the rebounds. But I don’t care about individual stats." "It was an even game in the first 38 minutes. They were up at some points, we were up at some moments as well. But they had a decisive run in the last two minutes. They scored 8 points in a row and that cost us the game. I would say our defense was not very good today as they scored more than 90 points. We might have won the game if we had defended better. A couple of extra defenses and it would be a completely different game."